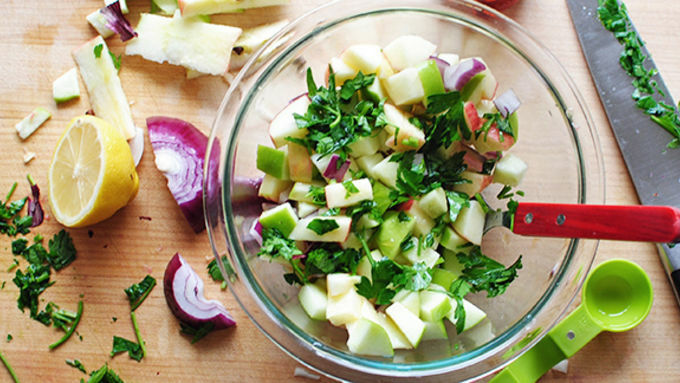 In a large bowl, combine the apples, onions, 2 tablespoons olive oil, lemon juice, honey and parsley leaves. Season with a small pinch of salt and toss to combine. Heat the oil in a deep pot until hot. 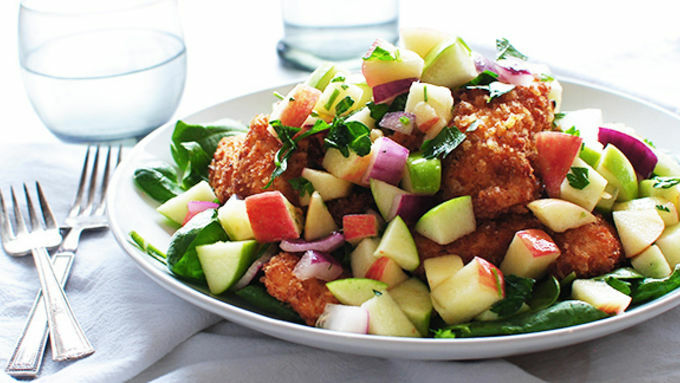 Serve chicken on a bed of spinach (if desired) and top with apple salsa. 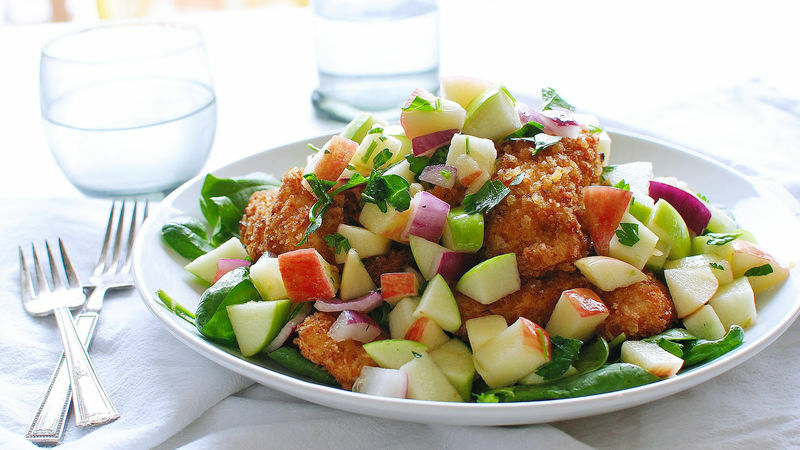 The apples are red and green, so this Crispy Chicken with Apple Salad is festive! Right? …Right?! Because we need a break from cookies? Look. I know the cookies are delicious. I know the pies are scrumptious. I know the cakes are glorious. I know the fudge is miraculous. But Santa wanted me to let you know that it's HIS job to be huge and round and jolly and barely able to fit down the chimneys in a couple of nights – not ours. But hark it up! I still fried the chicken, so it's still jovial and filled with holiday glee. But we serve it over spinach greens and under a light-and-bright and colorful apple and onion salsa. Santa approves of this message. Your kiddies? Maybe not so much. So healthy! 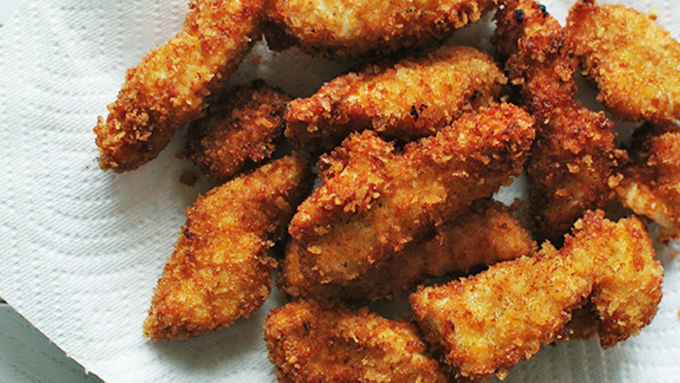 (minus the frying) It's seriously good. Crispy, crunchy, Christmasy. Do it.